You may or may have not heard of them. They may sound funny to you but the product is a something that can help you especially if you are not considered as a tall guy within your peers. They’re called elevator shoes. Research shows that men who are above the average height have found to be more successful both in their personal lives and their professional careers because they do not have to prove themselves compared to shorter men who need to work doubly hard just to be noticed. Man heels shoes or elevator shoes are man’s gift to men who are not contented with their height. It has been in the shoe industry since the early eighties and it continues to make men feel more confident while fixing their posture. These are shoes that give height up to 2 inches at a minimum and elevator shoes 5 inches maximum. There are, however, other elevator shoes that sell more than five inches. It will really depend on your personal preference of additional boost from the lifts. The lifts found are the one responsible for the providing extra height. It is discreetly hidden in between the insole and outsole of the shoes. This means only you, and you alone are aware of the lifts found in your elevator shoes, while the public eye thinks they are just normal shoes you bought at the department store. Where to buy elevator shoes? Elevator shoes can be bought from different places. You can purchase it at a physical store nearby or via online shopping. These shoes with heels for guys will come in handy and can be incorporated in your daily routine of waking up to prepare for another day at the office to your evening night out with a special someone. Elevator shoes are the shoes for short men that can save you from fading from a sea of tall men all looking broody and confident. Which brand sells elevator shoes? Online shoe brand Chamaripa shoes sells quality approved elevator shoes online with a wide array of selection to fit different personal styles. From height increasing dress shoes to white sneakers with added 2.36 inches in height, this brand offers most of your needs without having to spend for gas. Just simply visit chamaripashoes.com and scroll through their selection of shoes that are categorized per style. You can look at formal shoes, casual shoes, athletic shoes, and even sandals to make elevator shoes your every choice of footwear. Moreover, they also offer a selection for women who like to wear sneaker heels or casual shoes with lifts inside. Are you considered short in your country? Did you not meet the average height in your city? Have you’ve been literally looked down by someone who is taller than you? The question will keep going on and on until you accept the fact that elevator shoes are the real deal if you want to achieve additional height. Just put two inches or five inches in your height simply because of a pair of shoes and live by it. So, why buy elevator shoes really? 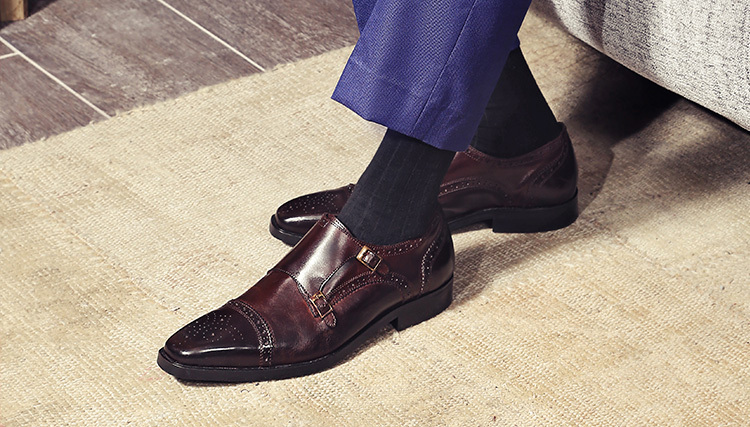 Since these shoes are perfect to temporarily fix what you lack in height, there’s no denying that elevator shoes are a force to be reckoned with. Try it for yourself and you may just change your mind about heels. When to use elevator shoes? Before, elevator shoes are only available in black leather. These are the type of shoes you wear on your graduation day or your first ever job interview or at a corporate meeting where you are required to wear semiformal. Yes, we always own that one pair of black shoes that we wear to almost all formal events we have, and yet we do not fully consider it as something we need in life. Of course, everything changed when brown shoes were more formal and oxfords (not brogues) became fashion forward. We now live in a world where formal can be interchangeable with casual clothes or a suit. Fashion has moved on from strict rules and has opened a door to experiment with your sartorial choices. As fashion stepped out of its strict menswear format, elevator shoes have moved on as well. Gone are the days when elevator shoes are just boring black formal shoes with no element of design. Today, brands such as Chamaripa shoes offer different styles to fit different style personas and always in favor of the fashionable and sleek. You can sport a pair of biker boots with an additional three inches in height without the risk of belonging to the worst-dressed list since the design has become more forward thinking. Here’s a quick recap of our general knowledge of elevator shoes. What: Elevator shoes have lifts that are hidden. No one knows about them except you. They look like normal shoes only they add at least two inches in height. Where: You can buy elevator shoes anytime and anywhere. You can go to the nearest department store or search the World Wide Web for an elevator shoe brand. Just ensure the brand you choose produces high-quality products. Which: Elevator shoe brand Chamaripa shoes has been in the business for a long time now. They have a wide selection of elevator shoes from formal shoes to casual sneakers. Just click the shoe you like and add it to your cart. Why: Elevator shoes can help you more than anything. Being short can really crack up your confidence. Did you know that elevator shoes fix your bad posture? When: The possibilities are endless, to be honest. Since the world has changed from boring to technologic, we now live in a world where we can be and wear whatever we want. Blame the millennials for wanting more all the time, but when elevator shoes matter, you can absolutely make it part of your everyday lives.